Romitaman Original Comic Book Art :: Private Collection :: Amazing Spider-Man 223 Cover SOLD SOLD SOLD! by artist John Romita Jr.
Click Here To See Amazing Spider-Man #223 Comic Book! Check out this very nice 1981 Amazing Spider-Man cover which was penciled and inked by the great , from the story titled: "!" 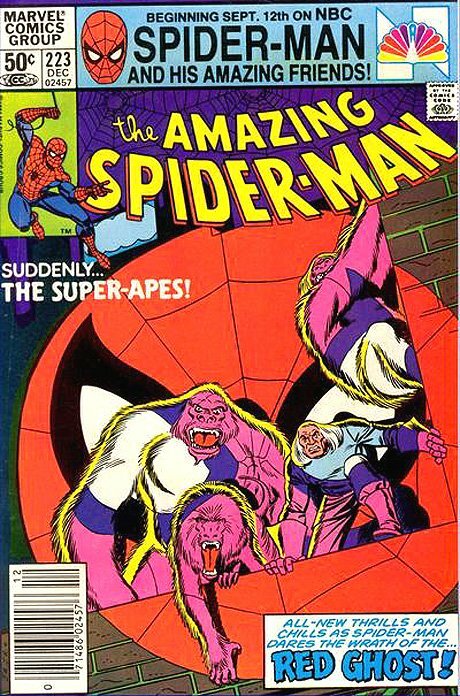 This nice cover features The Red Ghost and his Super-Apes, standing on a building, while a GIANT Spider-Signal flashes across all of them and on the very detailed building! 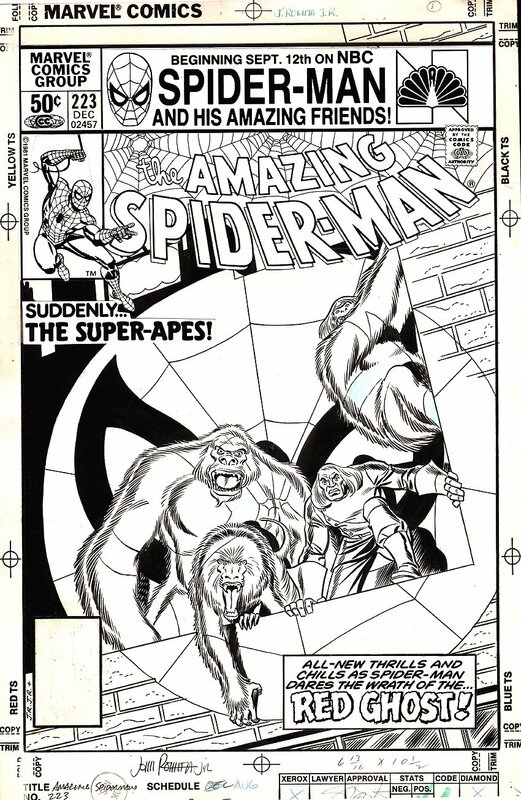 Just a great opportunity here to own a rare EARLY 1981 John Romita Jr. Amazing Spider-Man cover! Compare this nice cover art to the published comic book in the red link above, COOL!